This kit makes a perfect gift for your loved ones, can be sold at your store or can be used simply for your own enjoyment and relaxation. 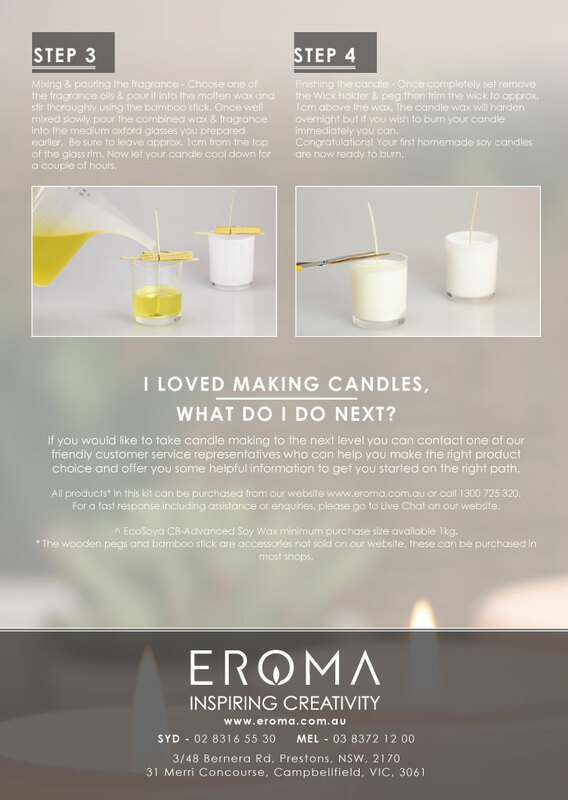 Eroma provides all the equipment and supplies you need, and our team of experts is on hand to help out, should you find you want to expand your candle making into a business enterprise. It has never been easier to access world-class equipment and all of the supplies you need to make your own signature, luxury scented candles at home. I don’t usually write reviews! But this product was so good I just had to let everyone know how great it is! 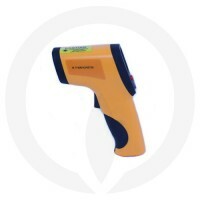 I am more than happy with this product! I received my order within 2 days of ordering! Everything is so simple and easy! Took me about 10 minutes to make my first two candles! And the fragrances are amazing, I’ve never smelt a candle this good before! This site is good for all candle making needs! And the value for money is so good! Lowest prices and best quality I’ve seen! I am defiantly buying from here again! And would recommend them 1 million times!! This kit was fantastic. Compared to other kits on the market it is really great value for what you get. The scents smell wonderful, and the candles are SO easy to make. I made all six in a day and put in an order straight away for supplies to make more. Really good fun and A+ kit! I am addicted to this activity so much so I'm making candles as gifts. I love this kit it was my first purchase they were so easy to make and the smell of them was divine. I learned the skills needed to make them myself without the kit. Just received mine today I'm so happy with the quality, I've made 4/6 and they were so easy and quick! I did purchase the jug to melt it in as an extra, I do suggest it. Awesome thanks guys, love it! I have given this as gifts to some of my friends who were intrigued with my candle making. They LOVED it. Such a great way to spend an afternoon with friends...making candles, sipping champagne, nibbling cheese...Such GREAT value at this new sale price too!! Love this kit. Makes candle making so very easy. Ok i'm addicted. Yes I will be buying more products from you guys and I will be recommending this kit to everyone. I just made my 6 candles and I think I'm obsessed with making scented candles already! 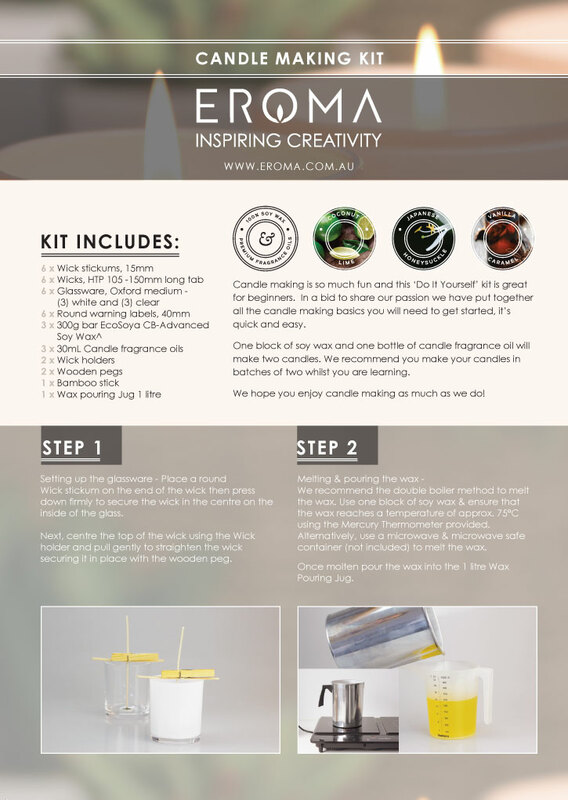 Perfect starter kit to test out your skills and get the hang of making candles! Worth the money and the quality is great! Very good Value, easy to use and great fun to make your own candles. Would make a wonderful Xmas Gift. This kit is SUCH a good deal. First timer to candle making and just wanted to see what went into doing it before I make a large amount and this kit was perfectly set out. Highly recommend! This candle making kit is beautifully packaged and the fragrances supplied smell devine. I highly recommend this kit if you are wanting to try candle making for yourself. Im new to candle making and this kit is just so easy to use. Highly addictive and its great to make your own candles, with your own colors and scents!! One of the cheapest kits I've seen in Australia and has really good value for the money you're spending. Definitely recommend if you're new to soy candles. 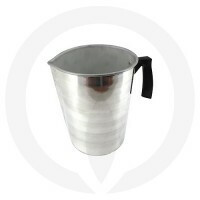 One pack of the wax, which is 300 grams, and one bottle of 30ml scent make two of the tumblers that are supplied in the kit. So make sure you pick up some extra wax and some extra scents too cause you'll get addicted and go through what you have in the kit quickly. I just got my pack and I think that it is great, nice and easy to use. The only thing that you might need to add is what type of wick you have included. I now want to buy more but don't really know what type of wick I should get. Other than that great product.